Plant survival in exposed habitats with minimal resources frequently attracts attention for tenacity in an unpromising environment (Fig. 3.2). Despite impoverished soils, harsh physical conditions, and a lack of resources, such areas can provide habitats for a wide range of diverse communities (see Chapter 2). Plants vary enormously in their needs for resources and recognition of this phenomenon has been a driving force in the development of many ecological concepts including competition, mutualism and life history strategies. A study of plants in marginal areas therefore has to give attention to habitats with low levels of resources and examine how the many species that survive in these areas obtain their mineral nutrients, access to water, carbon dioxide and even oxygen for plants that live in wetlands and swamps. In such areas climatic warming is likely to expose the vegetation to further stress, particularly in relation to access to water. Fig. 3.2 Sea rocket (Cakile maritima) surviving with minimal resources. 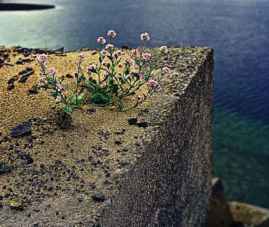 This plant has succeeded in flowering with a sprinkling of sand on a concrete block on the Churchill Barrier, Orkney. resources that are consumed. Oxygen is often omitted from discussion of essential resources, partly due to the failure to recognize that many plant tissues frequently have to endure hypoxic conditions, either as a consequence of their morphological development, flooding, or competition with the soil microflora for rapidly diminishing supplies of oxygen. It is now apparent that plants differ in their tolerance of anoxia with profound ecological implications, particularly in amphibious and aquatic habitats. Oxygen will therefore be considered in this discussion as a resource (see also Chapter 8). In marginal areas low temperatures and short growing seasons can limit plant growth, which raises the question as to whether thermal energy and time should be considered as essential resources. Heat is electromagnetic radiation, and like light can be absorbed by plant tissues. The extent to which plants can absorb or dissipate thermal energy can be maximized or minimized through phenotypic plasticity in relation to shoot morphology, pigmentation, and orientation (Fig. 3.3). Nevertheless, heat is not a resource for which plants normally compete. 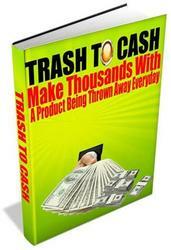 It is, however, one of the most decisive environmental factors influencing resource acquisition. Whether or not time should be considered a resource is dependent on the life history of the species under discussion. Time is neither matter nor energy and as it exists into infinity is never totally depleted for perennial species and therefore cannot strictly be considered a resource. There may be a limited amount of time in any one growing season as measured in frostfree days or thermal time (day degrees) and this can impose limits in facilitating access to resources, particularly for annual species that have only one growing season in which to complete their life cycle. Time also affects competition as metabolic rates and timing of growth and development (phenology) determine the efficiency of biological processes and influence the outcome of competition for resources. Fig. 3.3 The glacial buttercup (Ranunculus glacialis) maximizing utilization of heat. (Left) Pre-fertilization state where the petals are white and reflect light and heat radiation to the centre of the flower. (Right) Post-fertilization stage when the petals close, turn red and absorb heat and protect the developing seeds. 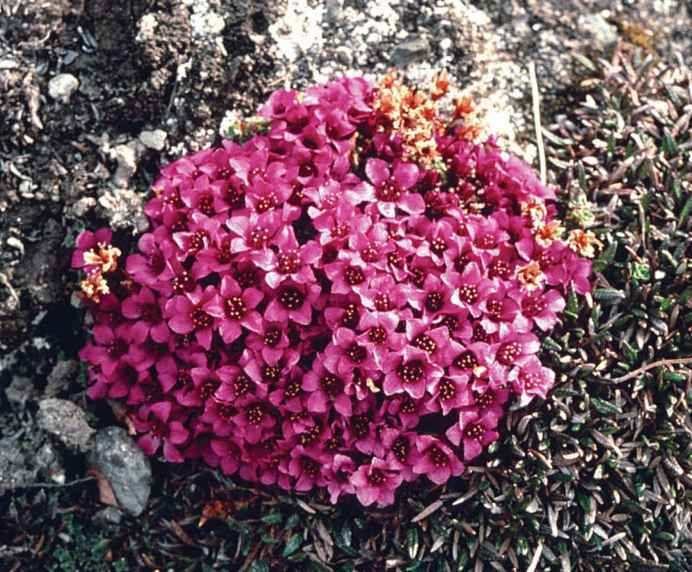 This species holds the high-altitude record in Scandinavia (2380 m Galdhopigen, Norway) and in the Alps at 4725 m Finsterahorn, Bavaria, is only exceeded by Saxifraga biflora (see Chapter 10). grandiflora) which grows in northern Iceland and Greenland can take several years to complete its reproductive cycle from the initial formation of a flowering shoot to the dispersal of seed (Fig. 3.4) and is therefore indifferent to the brevity of the growing season in relation to its eventual capacity to produce flowers and seeds. Similarly, the monocarpic desert century plant (Agave americana) can commonly take 20-30 years before flowering (usually well short of a century) and then dying. A species that is constrained by time in accomplishing its reproductive cycle is the Iceland purslane (Koenigia islandica; Fig. 3.5), the only annual species able to survive in the Arctic. 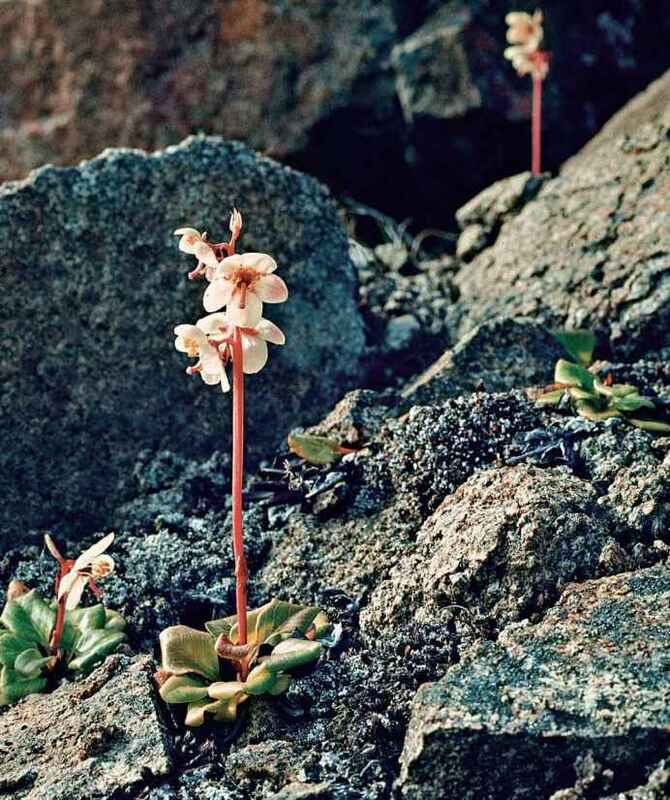 A study of this species under controlled environments concluded that a conservative seed germination strategy, a diminutive stature, and rapid development contributed to the success of this species in alpine and arctic environments. In addition, low temperature optima for growth and flowering were also important adaptations. The success of this annual plant, which is found in the High Arctic, the Himalaya, and in the southern hemisphere in the Tierra del Fuego, may be due also to being day-length neutral in relation to flowering (Heide & Gauslaa, 1999). Nutritionally, plants differ from animals in that their sources of energy are less varied. Most green plants have only one major energy resource and that is light. Carbon dioxide, oxygen, mineral nutrients, and water are also necessary to capture energy, but this list is much less varied than the variety of alternative energy resources that are available to support animal life. For animals, energy is obtained from what they eat, which presents a degree of choice normally denied to plants. Plants, despite their dependence on relatively few basic resources, differ from animals in that they are not readily starved to death once they have become established. Individual resources such as light, water, carbon dioxide and oxygen can be experimentally withheld in many species for prolonged periods without necessarily proving fatal. Hibernation in animals and dormancy in plants allow some species to withstand adverse periods when access to resources is temporarily hindered by unfavourable environments. Normally, for animals such periods of adversity will be no longer than a few months in winter, and the animals will not necessarily be totally dormant throughout the entire adverse period. For plants, however, resource limitations, whether they are due to cold, drought or flooding, can be endured in some cases for years and in the case of seeds, sometimes even for centuries (see Section 4.1). Fig. 3.4 Arctic wintergreen (Pyrola grandiflora), a species not limited by time for successful reproduction, growing on a barren rocky substrate near Mesters Vig (72o N), north-east Greenland. This specimen, approximately 20 cm tall with a corolla 14—18 mm wide, probably took several years to develop the flowering bud before elongating the scape.